Our client, a Technology & Office equipment sales Company with Headquarter in Lagos needs to recruit dynamic and result oriented Sales/Field Engineers in Lagos, Abuja & Port Harcourt. The successful candidates amongst others will be responsible for sales and maintenance of office equipment. Essential: At least 1-2years experience in similar position. Experience with computer networking will be an advantage. § Maintenance of the equipment and infrastructure available at the site. § Maintain and develop relationships with existing customers in person and via telephone calls and emails. § Act as a contact between the company and its existing and potential markets. § Involved in the installation process of new and advanced technologies interpreting the requirements specified by the research team and understanding the employer’s requirements. § Establishes new accounts and services accounts by identifying potential customers; planning and organizing sales call schedule. § Tests machines that are already installed for their performance and safety. § Listen to customer requirements and presenting appropriately to make a sale. Ability to interpret technical issues through the non-technical description provided by their customers. Ability to convince others; using persuasive tactics and charisma to gain agreement. Presents concepts in a clear, pleasant manner; feels comfortable in front of a group; tailors communications style to the audience. Shows superior ability to identify solutions where others cannot; thinks technically but can translate thoughts into plain language. LOCATION: Lagos, Abuja & Port Harcourt. Attractive salary with high commissions on overall sales. 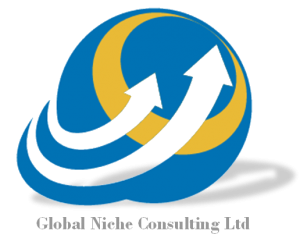 Interested and qualified candidates to send CVs to bsanya@globalnicheconsult.com or globalnicheconsultingltd@gmail.com with the job applied for as the title and location or simply drop requested information at www.igetjobs.com. Kindly state location on your application clearly.